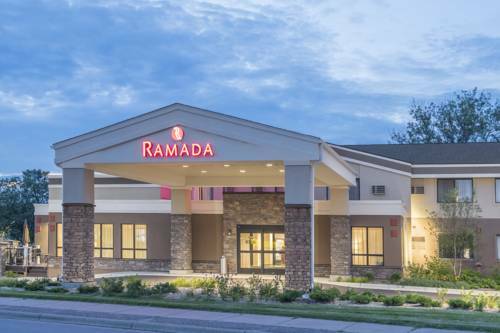 Welcome to the Ramada Minneapolis Golden Valley hotel. This AAA approved site is located off Highway 394, and a short three miles to the center of downtown Minneapolis. This location offers easy access to all major Minneapolis venues, including The Metrodome, home to the Minnesota Twins and the Minnesota Vikings, Target Center, home to the Minnesota Timberwolves, and The University of Minnesota, the home of Big Ten Gopher sports. Enjoy all of these venues or take in a day of shopping at one of many downtown shopping outlets. Guest rooms are well appointed and include wireless high speed internet, hair dryer, complimentary newspaper, coffee maker, and iron and ironing board. Upgrade to a suite with refrigerator, microwave and sitting area, work off stress in the fitness room, and start the day with breakfast. ~13 miles from Golden Valley. ~18 miles from Golden Valley. ~62 miles from Golden Valley.